UPDATED: Sun., Feb. 3, 2019, 11:38 p.m.
Los Angeles Rams coach Sean McVay said earlier this week that a talent like injured wide receiver Cooper Kupp can’t be replaced. That appeared to be the case Sunday. In the Rams’ 13-3 Super Bowl LIII loss to the New England Patriots, the former Eastern Washington star’s void was felt by an offense that was held to 260 total yards and never established a rhythm. 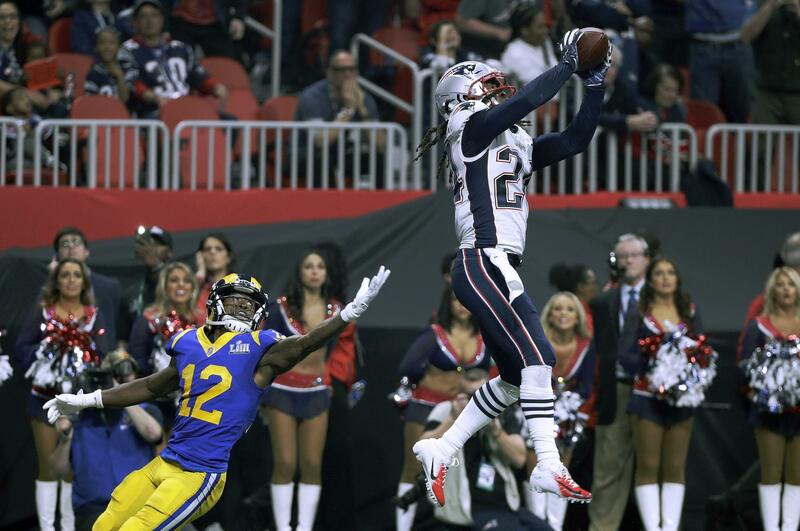 Rams quarterback Jared Goff completed 19 of his 38 pass attempts for 229 yards and a late interception that ultimately sealed the Patriots’ sixth Super Bowl win. He missed Kupp, his most reliable receiver the past 1 1/2 seasons before going down with a knee injury in November. Goff, who was sacked four times Sunday, was under constant pressure. Without Kupp, he was devoid of his safety valve and best route-runner. Goff’s completion percentage dropped nearly 10 percent after Kupp’s midseason injury. Hundreds of fans took to social media on Sunday to say Kupp’s presence would have likely changed the complexion of the Rams’ stagnant offense. Longtime NFL analyst Rich Eisen also tweeted about Kupp during the game. “Cooper Kupp can be Goff’s Edelman,” Eisen wrote. Eisen was referring to Patriots wide receiver Julian Edelman, who caught 10 passes for 141 yards and was voted the Super Bowl MVP. Rams starting outside linebacker Samson Ebukam, another EWU alum, totaled four tackles, but was beaten twice on coverage by tight end Rob Gronkowski on the Patriots’ lone touchdown drive in the fourth quarter. Published: Feb. 3, 2019, 9:51 p.m. Updated: Feb. 3, 2019, 11:38 p.m.